Apple pie is the classic fall dessert. 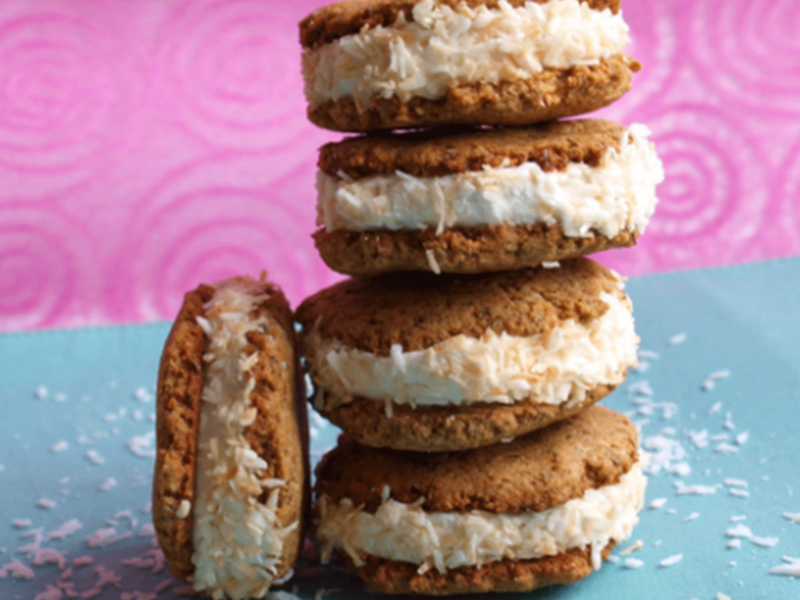 It’s a rarely-modified staple that seldom sees any flavour additions other than vanilla ice cream. And that’s OK. Sometimes, the classics are best left as is. They’re classics for a reason, after all. But other times, the classics can benefit from a little something extra. In the kitchen of a nutritionist is where they’re modified in good hands, we say. 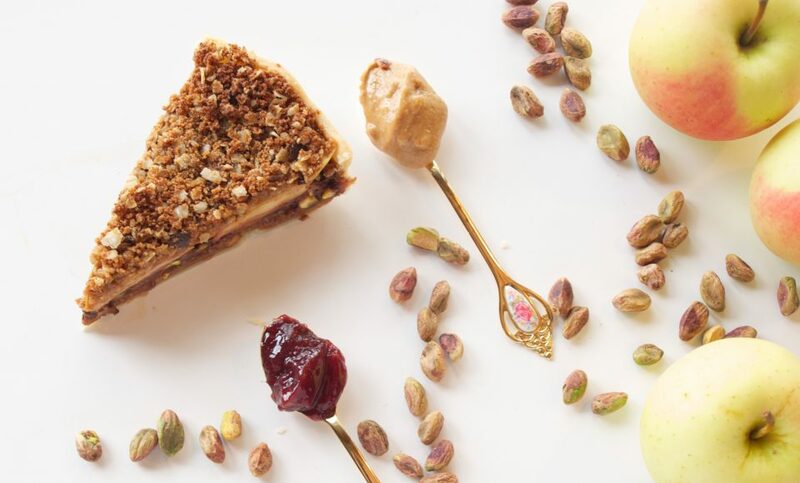 This season, we got ambitious with our #piegoals, as you can see. 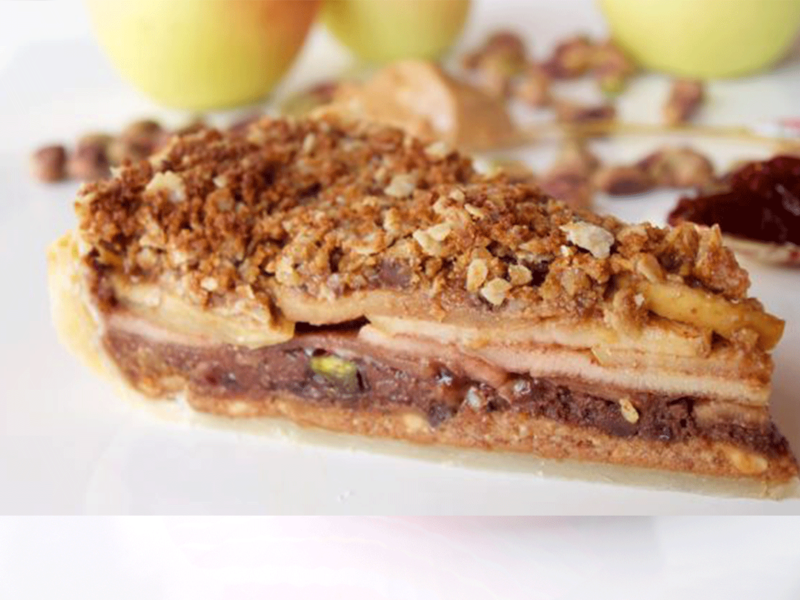 This creation puts a spin on apple pie that takes out the goopy refined sugar filling and adds more complex flavours and textures. 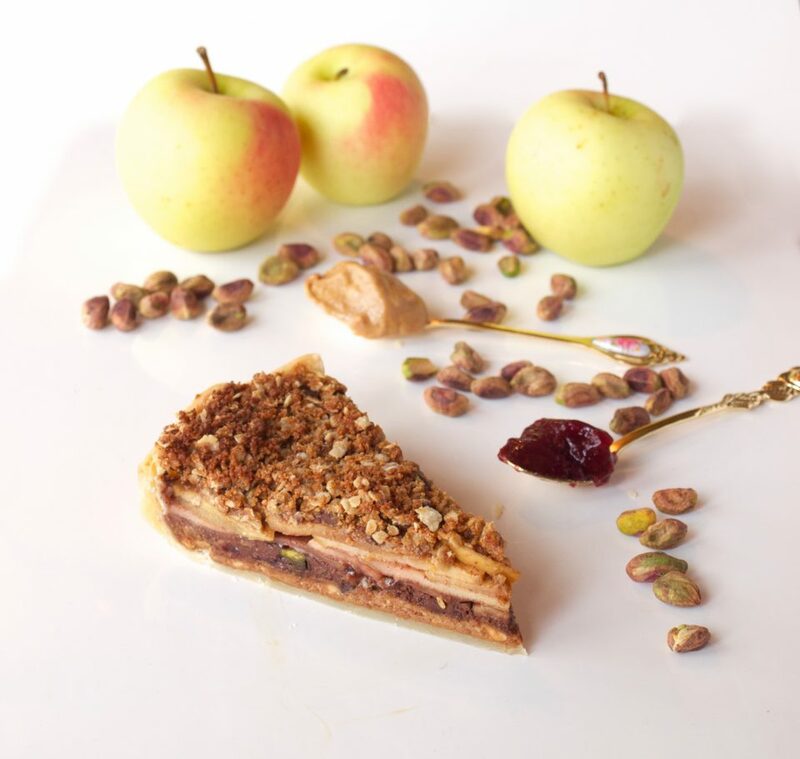 Think: crunchy pistachios and natural peanut butter, tart raspberry jam, and cinnamon-y crispy baked apples. It’s not just more dynamic in each bite, and also totally impressive looking when cut into. Hey there, five colourful layers. ? We’ve incorporated choice nutrient-rich ingredients like oats, coconut oil and quinoa flour so you’re getting healthy fats and protein in each crumbly serving (but if you don’t have quinoa flour on hand feel free to sub it out with whatever is convenient…though we like it’s nutty flavour). Apple pie may be the darling of fall, but apples all by themselves in a dessert just leaves too much to be desired. Nothing against our pomme friends. This pie has a few more elements than a regular pie, so you may want to keep the crust simple. Feel free to use a crust of your choice to prepare with this filling, or check out our 3-ingredient date and almond crust, which would also work well here. Otherwise, get ready for your house to smell seriously amazing. And to reach new heights with your pie goals. Place slices in a single layer in a heated pan with a drizzle of coconut oil and 1 Tablespoon cinnamon. Bake on low heat until apples are soft. Take out pan and set aside. Prepare a crust of your choice for this pie, or use our recipe linked above. Mix the peanut butter with the coconut sugar to combine (feel free to lower or omit the sugar for a thinner layer on top of crust.) Spread mixture onto your cooled crust. Mix all the dry crumble topping ingredients in a bowl, then add the soft coconut oil. Bake at 350 degrees for 35 - 40 minutes. Be careful not to burn, as the coconut sugar burns more quickly than other sugars. On a fall flavour kick? Looking to make the most of seasonal produce? Check out our pumpkin apple pie in a jar with marzipan creme or our spicy sweet potato pie recipe.